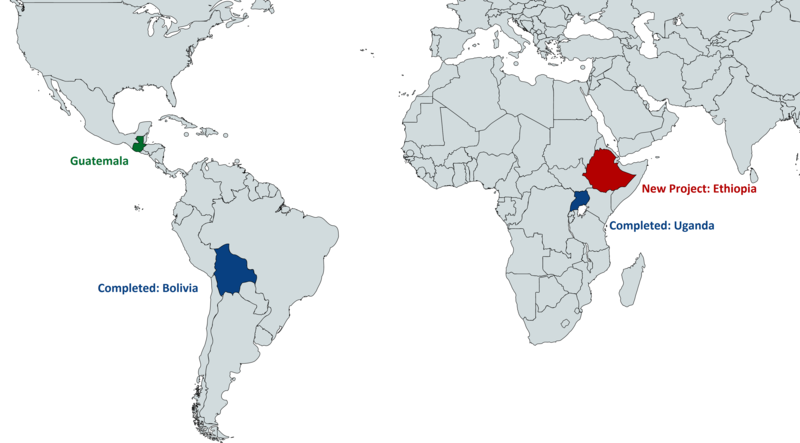 Below is a world map of our two current international projects: Guatemala and Ethiopia. Refer to the right-hand sidebar for a list of meeting times and locations. The Guatemala team recently finished installing a municipal water distribution system for the ~600 community members living in Xaquin Sanahi. This included a trip in summer 2015 to install a new supply line, and rehabilitate aging springboxes and storage tanks and the recent summer 2016 trip included installing final delivery lines. Continued work is being done year round with outreach and educating the members of Xaquin Sanahi. The Guatemala project is beginning work on a new project in Paraxaj, Guatemala in Spring 2017. This project will look to develop a water storage and distribution system. Initial assessment trips will begin in May 2017. With the completion of the Bolivia and Uganda projects in summer 2016, EWB-USA UMN is looking to begin a new project in Ethiopia. 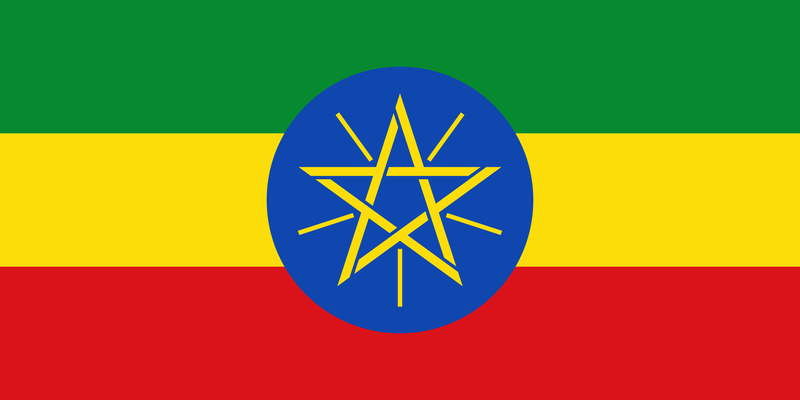 The Ethiopia project will be working in Filakit, Ethiopia. The population of Filakit consists of around 300 community members. EWB-UMN will be looking to help deal with a lack of water in the community and develop a sustainable delivery and irrigation system. Initial assesment trips will begin in May 2017. The FLB grants opportunities for freshman members to become involved in EWB alongside other freshman students. Students learn technical skills such as AutoCAD, plan outreach events, do hands on activities, and participate in social events. The fundraising committee is a vital part of the chapter. Students are needed to write grants, present to rotaries and businesses, and communicate with individual and corporate donors. The events committee works to plan many EWB related events including general chapter meetings, outreach events, social events, and, most notably, our annual Spring Reception. Outreach is not an official committee, but if in addition to a project you are interested in planning or volunteering for EWB events please feel free to contact the Outreach officer. Do you have further questions about joining EWB? Please visit our FAQ page.